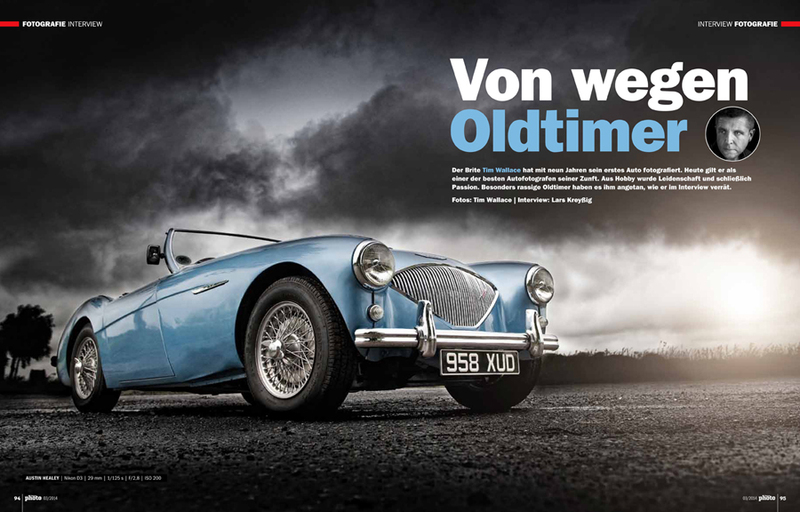 'Digital Photo' is a German based magazine from Falkemedia based in Köln Germany and this week saw the publication of a their monthly 'Pro' Interview featuring the work of Tim Wallace entitled 'Von wegen Oldtimer' a german word for the Classic car. 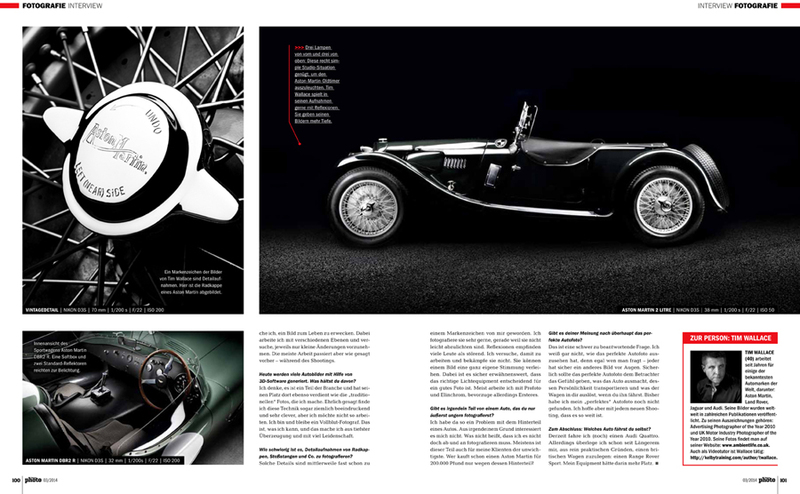 Tim spoke with Lars Kreyßig from Falkenmedia and speaks about what inspires him, the journey that brought him to creating AmbientLife and specialising in shooting high end automotive work commercially within the UK, Europe and the US. 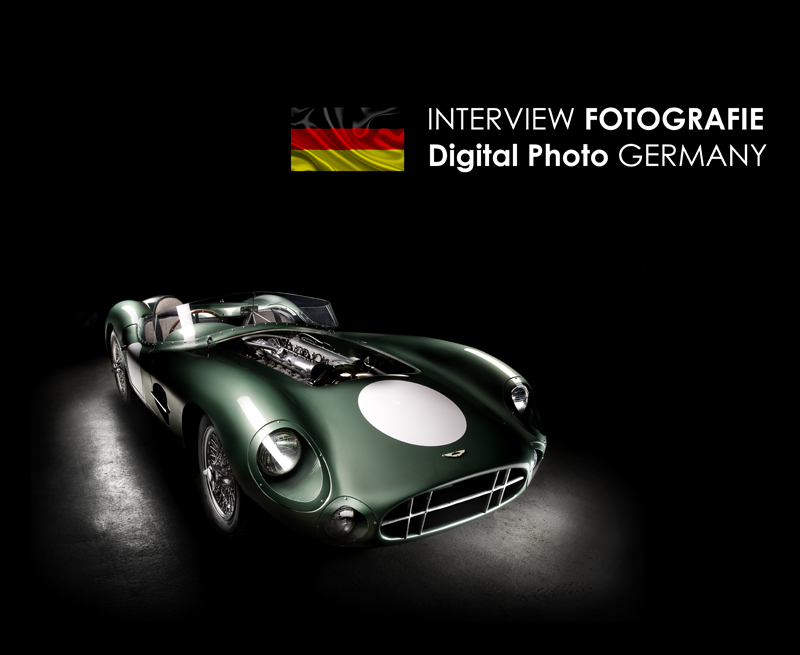 "Der Brite tim Wallace hat mit neun Jahren sein erstes auto fotografiert. Heute gilt er als einer der besten autofotografen seiner Zunft. aus Hobby wurde Leidenschaft und schließlich Passion. Besonders rassige oldtimer haben es ihm angetan, wie er im interview verrät." "Britsh born Tim Wallace first photographed his first car at just nine years old. 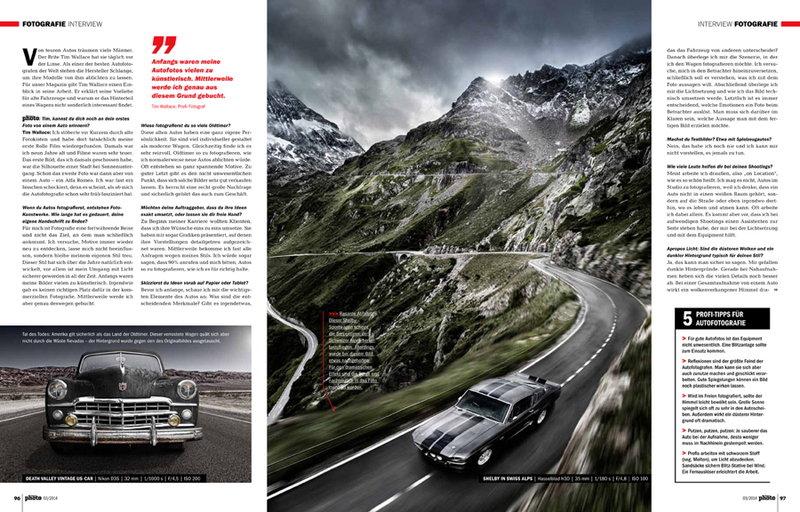 Today he is considered one of the best car photographers of his profession, from a early hobby came an ultimate passion for his work, specially enjoying shooting Classic cars he reveals in an interview." "Anfangs waren meine Autofotos vielen zu künstlerisch. Mittlerweile werde ich genau aus diesem Grund gebucht. 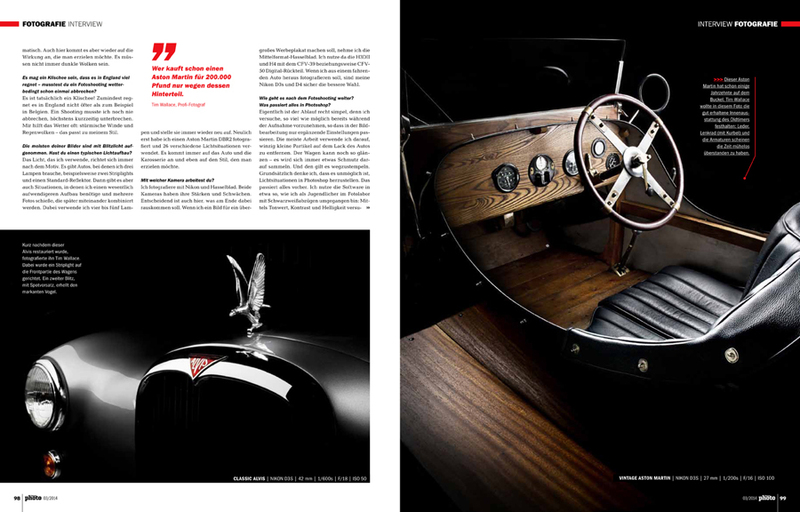 "At first my car photography was seen by some as too artistic. These days I get commissions for this very reason."